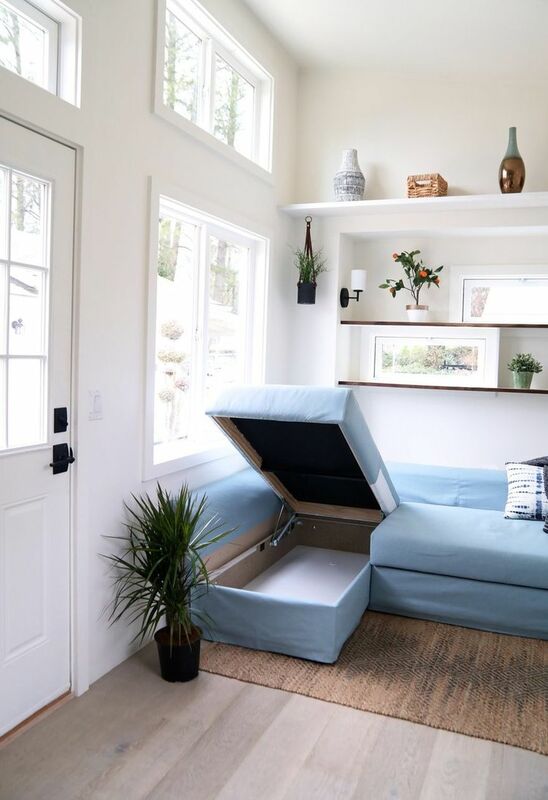 Blame it on social media or the rising cost of housing, but more and more people are interested in living a more mobile lifestyle, one free of a concrete foundation. 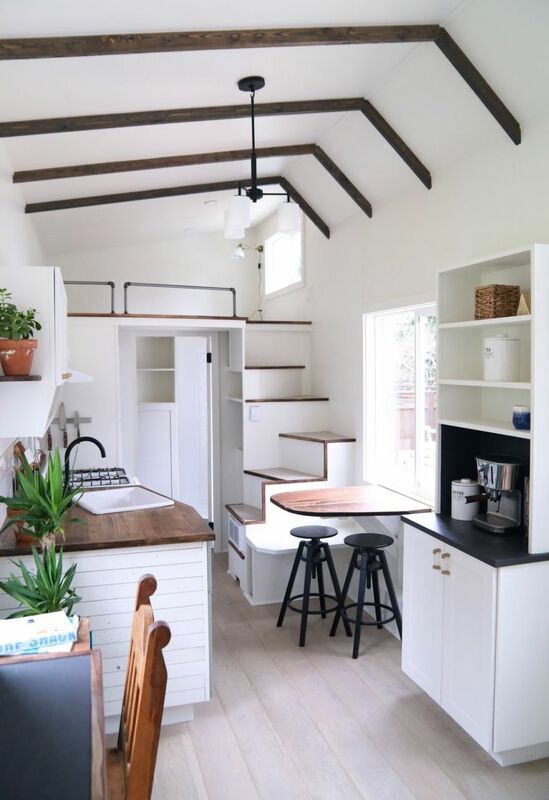 They are choosing to embrace a less materialistic way of living by purchasing a tiny house on wheels. 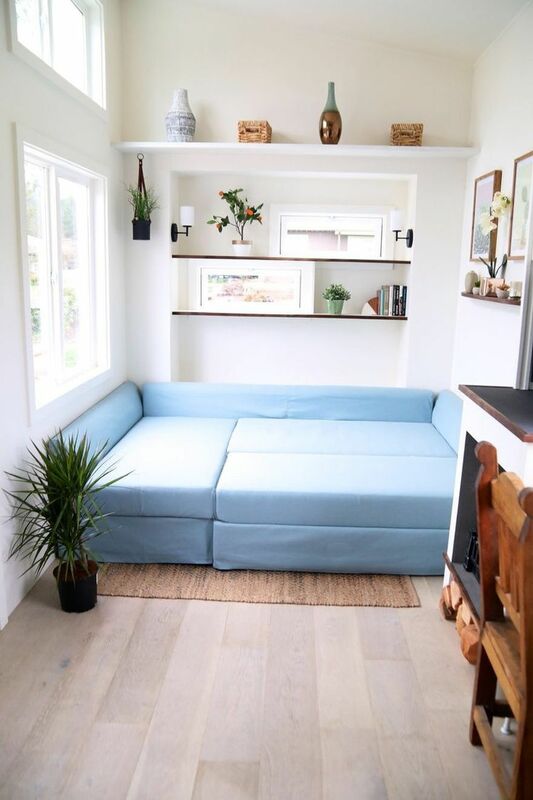 While small, these tiny houses can pack plenty of punch for 400 square feet of space (or less). 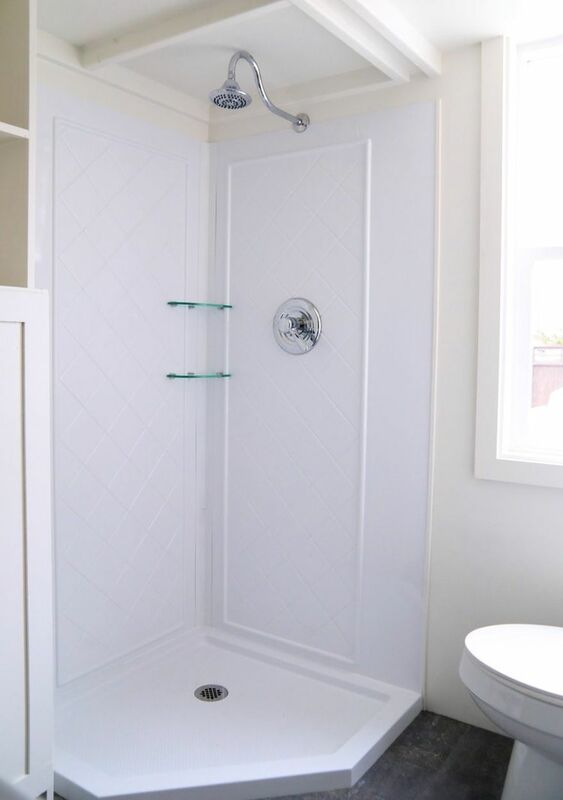 There are so many beautifully designed trailer homes and they come in different shapes, sizes and forms. 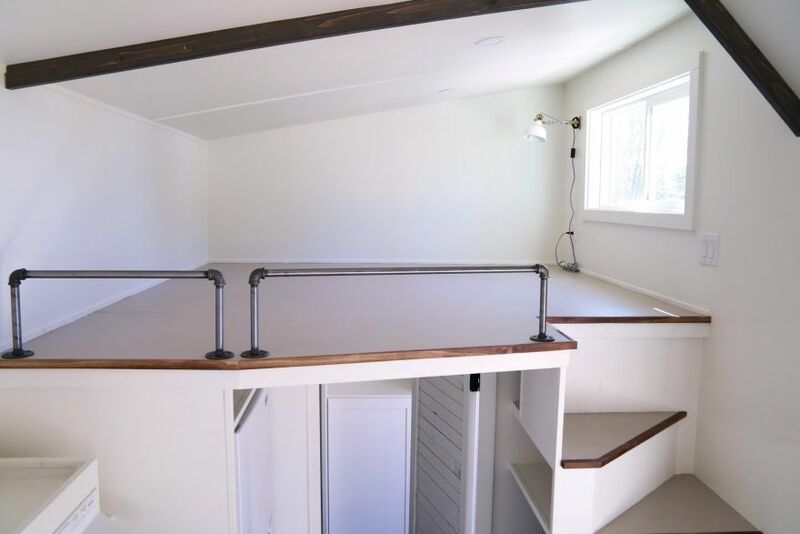 Fascinated by the concept of living in beautiful but compact and mobile living spaces, we want to create a well-stocked cellar of tiny living projects and products, bringing you everything you need to know about this increasingly popular new living trend. 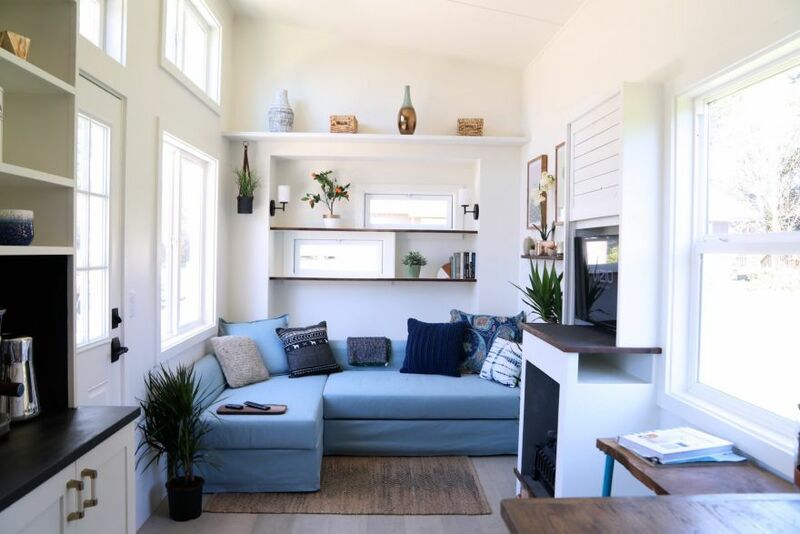 It’s time to meet the “Coastal Craftsman”- a stunning tiny trailer home that’ll steal your breath away. 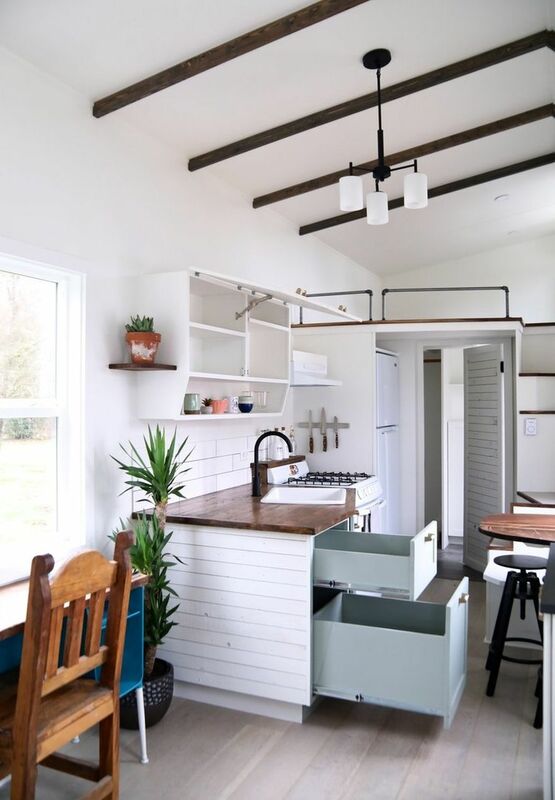 Designed and built by Handcrafted Movement, this gorgeous home on wheels uses clever space-saving design, various reclaimed materials, and craftsmanship to prove that living large is possible in small spaces. 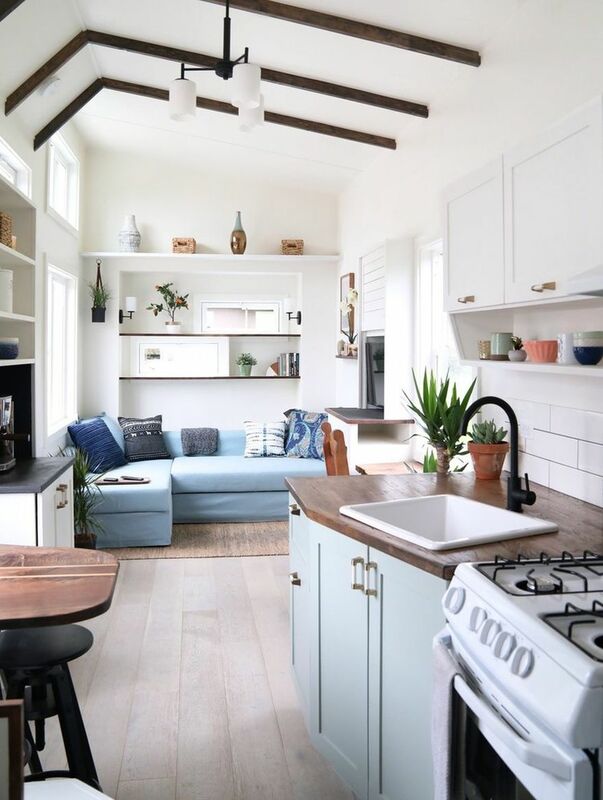 The Coastal Craftsman combines coastal appeal with contemporary design into a surprisingly luxurious and dreamy mobile home. It is absolutely incredible what can be done with a little bit of creativity, confidence, and the right team. 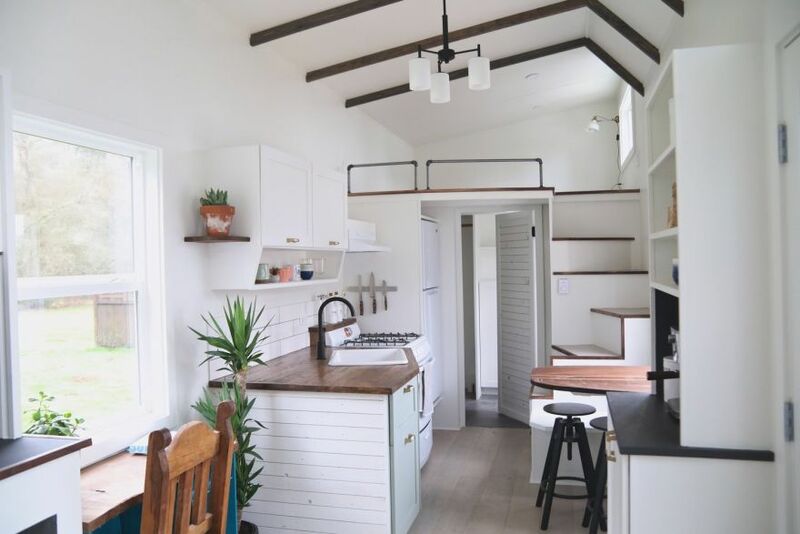 This 238-square-foot home built onto a transportable trailer will seriously tempt you to ditch the traditional house for a more minimalist lifestyle. 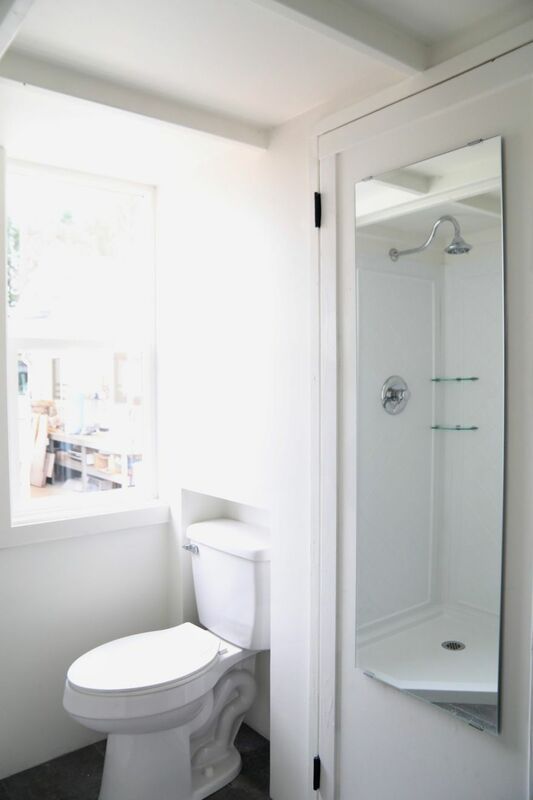 Like most tiny homes, the space is compact, however, large windows give the interior a nice, airy feel. The exterior of the house offers the first clue that this is more than just a tiny space put together on a whim. The Washington-based builder used a cream-colored board and batten siding with Pacific Cedar accents for cladding and a standing seam metal roof. A lovely glass-panel door leads into the living space, where you’ll find wide plank distressed oak hardwood flooring with an electric fireplace and a TV hutch. For sleeping accommodations, there’s a loft bedroom that’s accessible by stairs, and an electronic elevator sleeping platform. 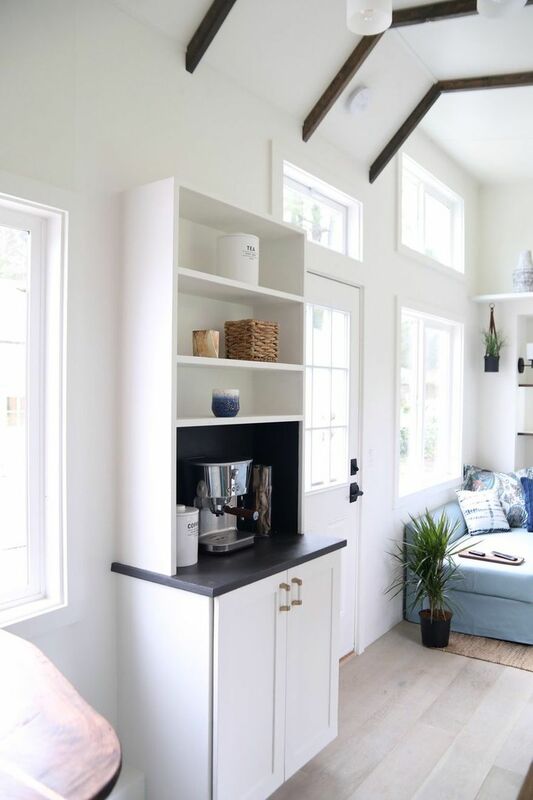 The kitchen is equipped with a 24” four-burner LP gas range with an exterior hood vent, an energy efficient refrigerator with auto defrost, and cabinet storage. It also features beautifully tiled counter-tops with a reclaimed walnut breakfast bar. 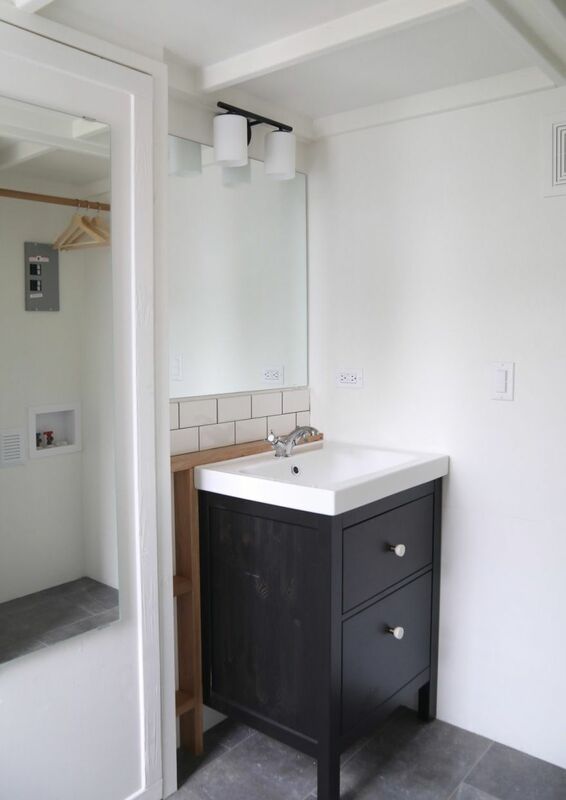 And if the living space wasn’t as impressive enough, the bathroom is big enough for a shower, vanity with roll out drawers, porcelain toilet, and hookups for a washer/dryer combination unit, as well as storage – something rarely seen in a tiny home. 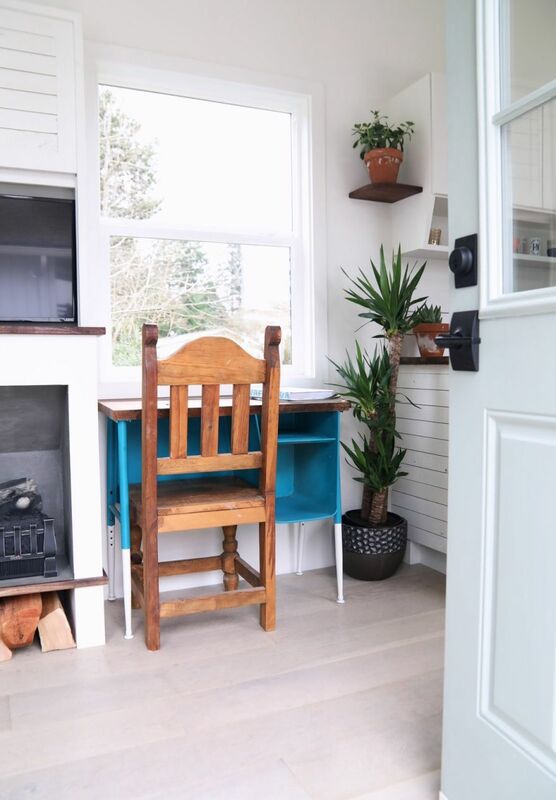 Not only does Coastal Craftsman offers a beautiful and affordable housing breakthrough, it’s also a super sustainable, super efficient tiny home. Thanks to its energy-efficient features such as rock-based Roxul insulation, 10 large energy-star windows, LED lighting, an instant water heater, and a propane oven and cooker, the monthly electrical bills should only typically range from $12 to $25 per month. 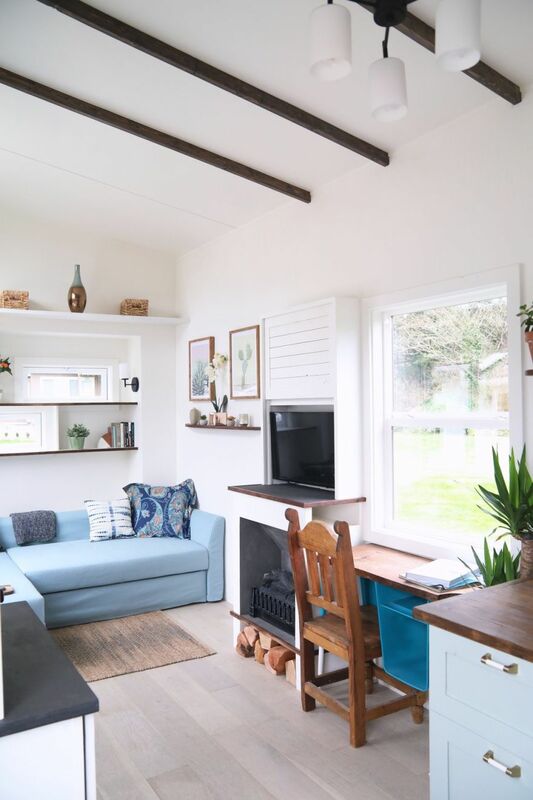 If you’re interested in purchasing a tiny trailer house built by Handcrafted Movement, you should know that this one was sold to a San Francisco couple for $72,500. 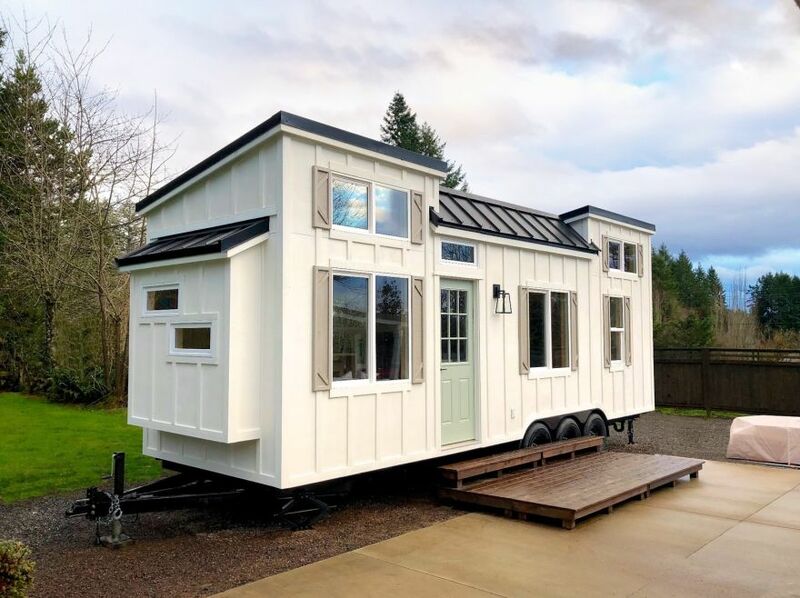 Follow their website for any new tiny trailer homes for sale and maybe you’ll find your own dream house on wheels.